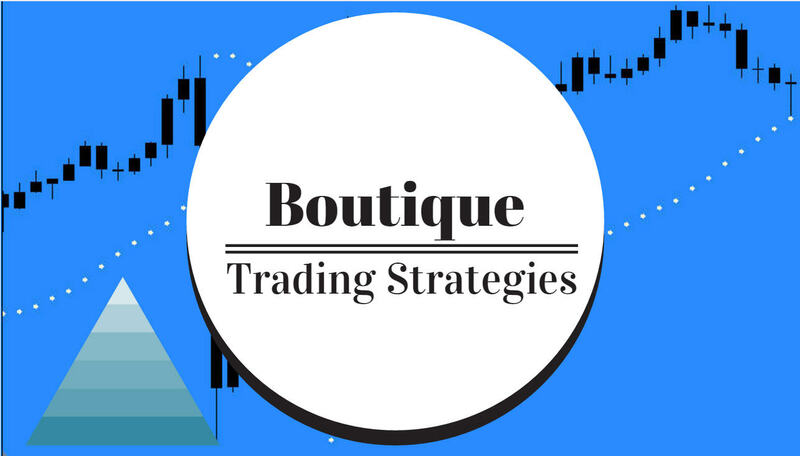 boutique trading strategies: Can We Use Twiggs Money Flow for a Divergence Strategy? Can We Use Twiggs Money Flow for a Divergence Strategy? Will Twiggs Money Flow Show Divergences? This indicator is created by the folks at Incredible Charts and is derived from the Chaikin Money Flow but fixes some of the CMF's weaknesses. The main difference is the exponential smoothing of the Accumulation Distribution values from which the Money Flow is derived. More info can be found at Incredible Charts. Price and volume are very important to determine the health of the market. The TMF uses averages to account for gaps and yesterday's market as well as today's. One great feature about this indicator is that it illustrates divergences well and it can be adapted to long or short periods. Its signals are simple and easy to read making it perfect for scanning for divergences. Here is a chart for Fedex with the Macd and the Twiggs Money Flow indicators. 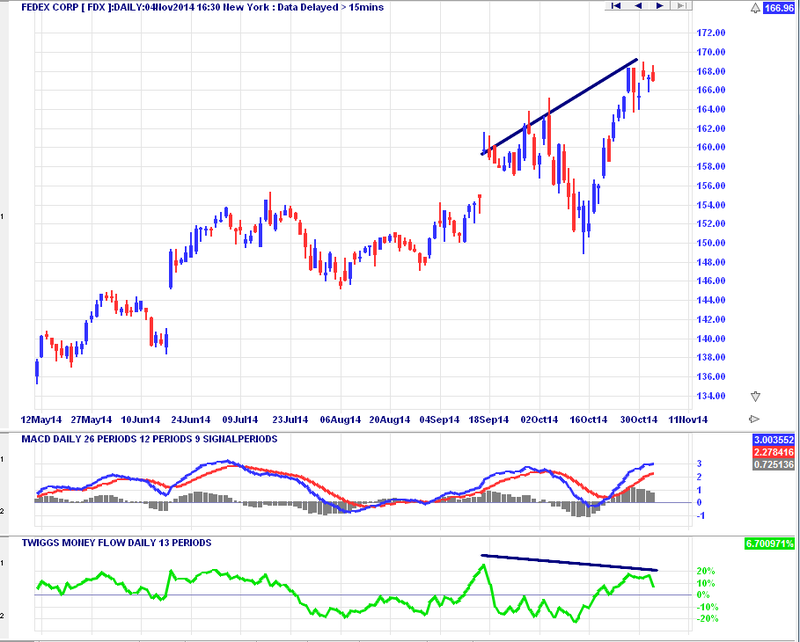 You will see that there is a divergence showing on the TMF but not much on the Macd. The reason being that the TMF is accounting for volume as well as price, thus being, perhaps, a much more definitive indicator for this purpose. I have collected some articles to outline some applications of the Twiggs Money Flow. You wiull see that the first two were written by Mr Colin Twiggs, who better than he to explain how the indicator can be used with real time examples. This is a direct link to Incredible Charts where there is a complete explanation of the Twiggs Money Flow Indicator.